Ulster pulled off a famous win over Leicester Tigers at the weekend to book their place in the last eight of the Champions Cup. Things looked bleak for the northern province at half-time as they trailed the England side 10-0. But a second-half fightback thanks to tries from Marty Moore and youngster Robert Baloucoune ensured a 14-13 win Dan McFarland’s side. 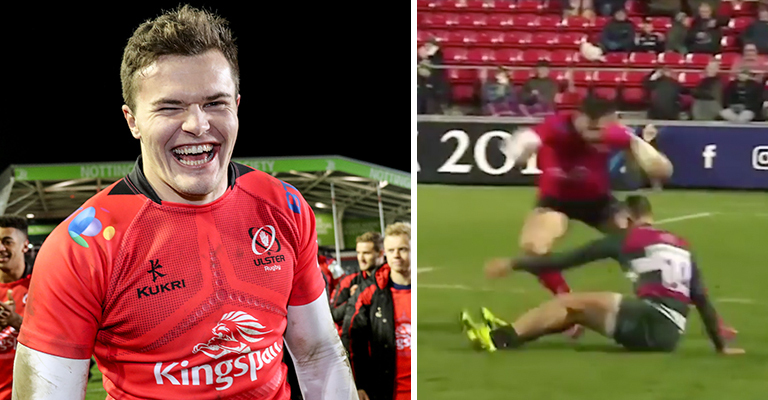 Jacob Stockdale failed to keep his incredible record of scoring in every round going, but the Ireland international still caused plenty of problems for the Leicester defence. Just ask Jonny May. A sign of things to come at the Aviva Stadium next month perhaps?